Strong, developed arms seem like an evolutionary trait, a sign that the lucky guy sporting them isn’t afraid of a little hard work - and might even make an acceptable mate. And besides, it’s not all about looks. Whether you’re a a defensive back jamming a receiver at the line, or a home handyman swinging a hammer, having powerful arms can be downright helpful. But the truth is, whether you’re after bulging biceps or just a lean and defined look, most guys approach arm training the wrong way. Too many men spend too much time curling dumbbells up and down, never getting the results they want. Too many men spend too much time curling dumbbells up and down. Think big arms mean big biceps? Think again. While biceps receive most of the attention (what’s the first thing people do when they get asked to ‘make a muscle?’ I’ll bet you fifty bucks they flex their arms), they only make up about one-third of total arm size. So they should only receive about a third of the total time you spend training your arms. Most guys need to cut the amount of biceps work they do in half, while doubling the attention they pay to the muscles in the back of their arms. 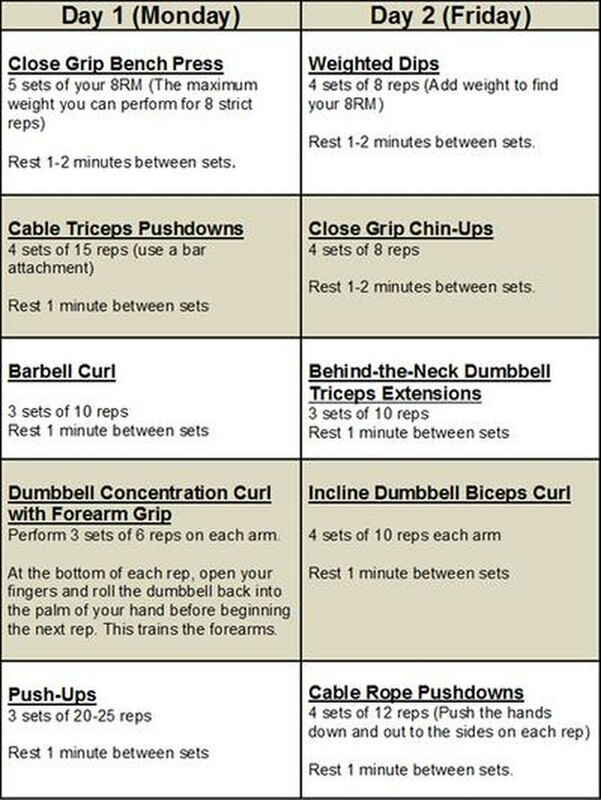 Big triceps are really the key if you want to add a little size to your arms. And don’t forget about your forearms. Those muscles between your elbow and hand draw more glances than you think. 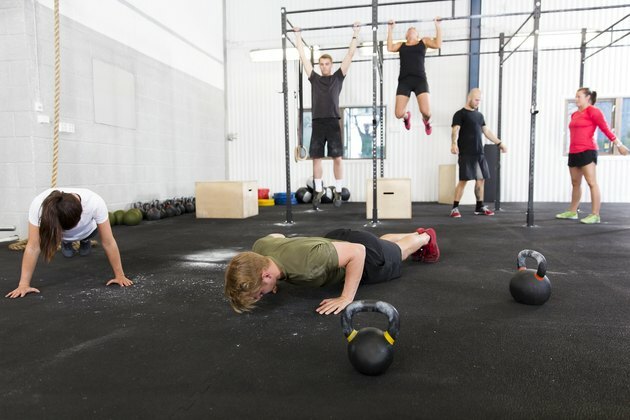 Most men seem to fall into one of two camps when it comes to arm workouts: Guys who do chin-ups (complex exercises that work multiple muscles), and guys who do curls (isolation exercises targeting a single group). Look at your isolation exercises and complex movements as lobster and steak: Each is good on their own, but together they’re unstoppable. Workouts that have curls and chin-ups, or bench presses and tricep pushdowns, are more likely to deliver both the size and strength you’re looking for. Back in the '80s, the popular trend was to train your arms one time per week -- and absolutely destroy them with a boatload of sets, reps and exercises. This high-volume approach worked for guys in bodybuilding magazines, but came up short for all of us normal guys who couldn’t afford to have dead arms for three days because of a killer workout. Fast forward a few decades and, for some reason, guys are still following that same approach -- and still not seeing results. Well, you don’t wear the same clothes you wore in the '80s, and you shouldn’t train your arms the same way either. Instead of the one-day arm-blaster binge, I recommend working your arms twice a week, but in more limited sessions. Since the arm muscles are smaller than those in your back or legs, they tend to heal faster and can be trained more often. This increase in frequency will lead to greater gains. Try this program for four weeks. Measure your arm and forearm before you start, and then again after your final workout. You should find that the tape stretches a bit farther the second time around.